The mannequin challenge strikes Aston Martin Racing, as they live life in the fast lane at the FIA World Endurance Championship’s 6 Hours of Bahrain! Following their summer break, the drivers joined eachother on their return to work for a fun pre-race carshare. 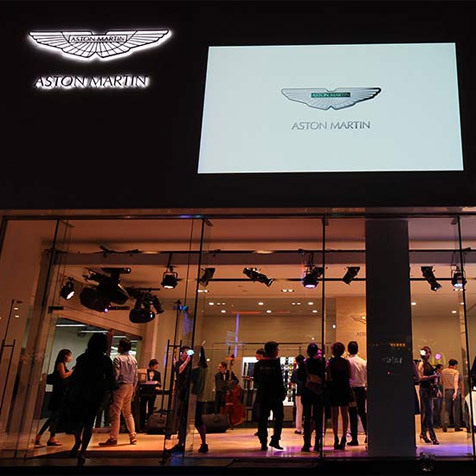 2016 has seen significant changes to the way that we at Aston Martin understand and communicate with our customers. New Zealand provided the spectacular backdrop for the ultimate Aston Martin Art of Living experience. The second installment from our Atrium Art series brings the latest addition to the Aston Martin model range into focus. Experience a lap of Circuit de la Sarthe at Le Mans from behind the wheel of the Aston Martin Vulcan. Red Bull Racing embark on a unique lap of the Aston Martin's Gaydon Headquarters to mark the launch of the spectacular AM-RB 001 hypercar. Festival of Speed 2016 saw another incredible three days of motoring at the world-famous Goodwood Hillclimb. Aston Martin Racing’s drivers have taken to the Le Mans circuit in something a little more tail happy, after trading in their 24 Hours of Le Mans V8 Vantage GTE challengers. 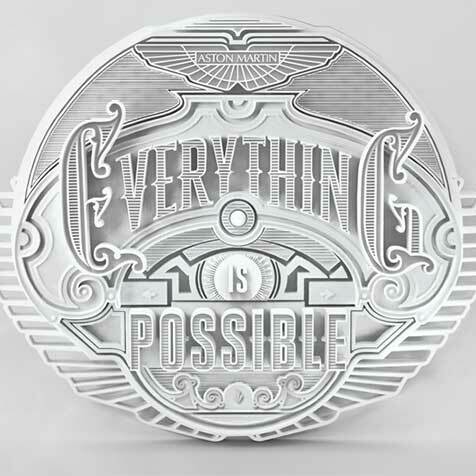 Celebrating the timeless design of the Aston Martin DB5, Grant Macdonald silversmiths have crafted an exclusive model of the world’s most iconic car. The newly-unveiled DB11 will be taking to the road throughout April as it embarks upon a six-week tour of Aston Martin's UK dealers. 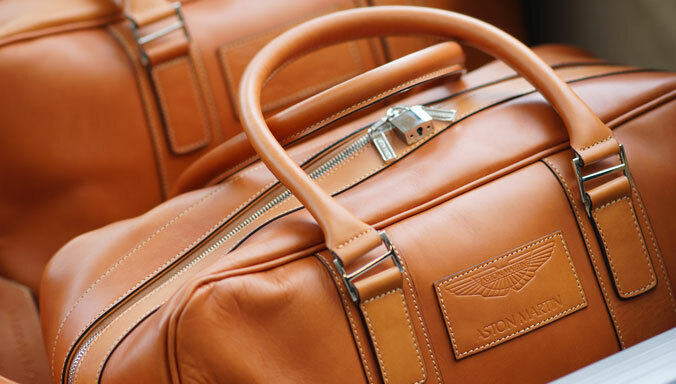 An immersive private space awaits inside the world’s finest sporting Grand Tourer. Aston Martin launched the stunning DB11 on March 1 at the 2016 Geneva Motor Show, drawing huge interest on stand and online. How do you reinvent something perfect? 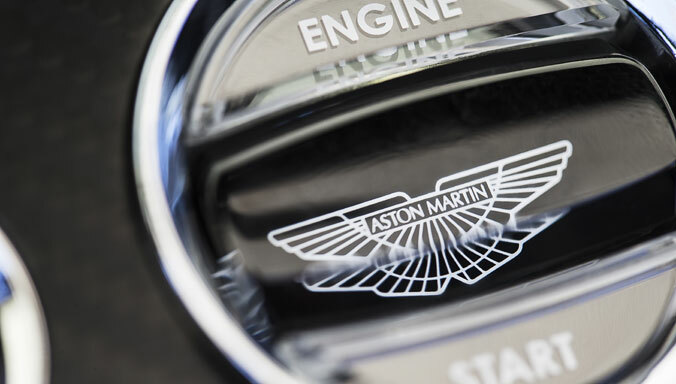 That was the challenge facing Brooklyn graffiti and tattoo artist Kaves when Aston Martin Chief Creative Officer Marek Reichman asked him to embellish Vanquish. 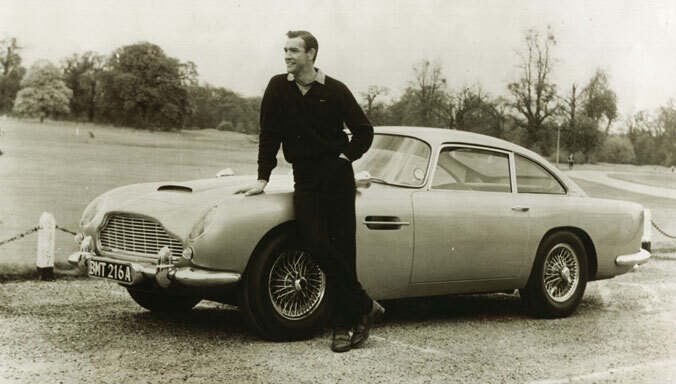 Take a glimpse at the operating manual for the limited edition Aston Martin DB5 1/3 scale model, as featured in Skyfall. 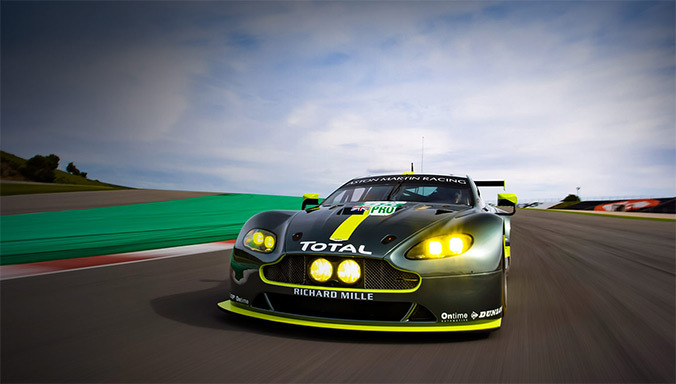 The iconic Aston Martin Ulster makes an emotional return to track action at the world-famous Nürburgring. The Aston Martin Instagram channel is growing faster than ever before, adding a further 100k followers during July and taking the total community of fans beyond the half million mark. From the Vulcan to the Vanquish, Aston Martin’s identity always shines through thanks to key design principles that have evolved over the years, says Jonathan Bell. Another stunning month of growth saw the Official Aston Martin Instagram soar past 400k followers! As darkness falls, what better way to explore Berlin’s unique mix of history and hip culture than from the warmth of the world’s most exciting four–door sports car? Gavin Brett buckles up for the ride. The Aston Martin Instagram channel continues to go from strength to strength, with May 2015 seeing our followers fly past the 300k mark! 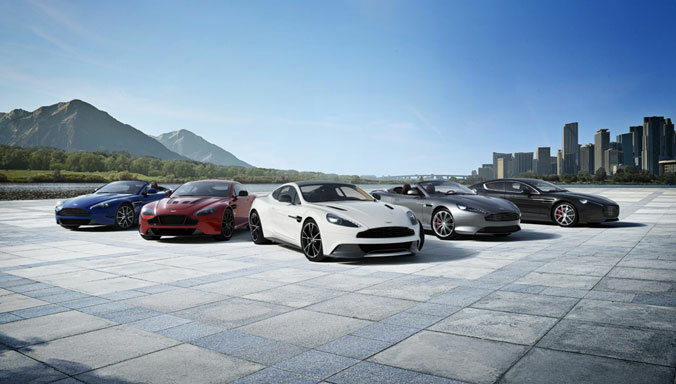 Fans in the UK were recently able to explore the pinnacle of the Aston Martin Vantage range in the debut episode of a brand new TV series - Supercar Superbuild. The V8 Vantage Volante Prince of Wales remains one the most striking of all Aston Martins and was the unwitting precursor to the Q by Aston Martin programme, as David Burgess-Wise Reveals. 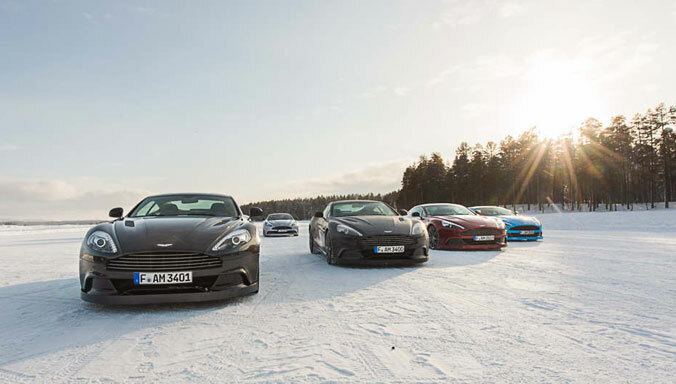 2015 has seen some fantastic #astonmartinlive image shares on Instagram. To celebrate, we dedicated an entire week to showcasing the very best photography the Aston Martin community has to offer. 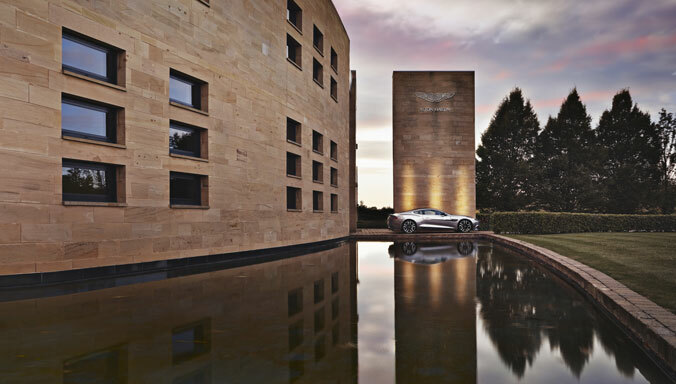 Aston Martin has teamed up with Auto Express to offer an exclusive behind-the-scenes experience of our Gaydon Headquarters. 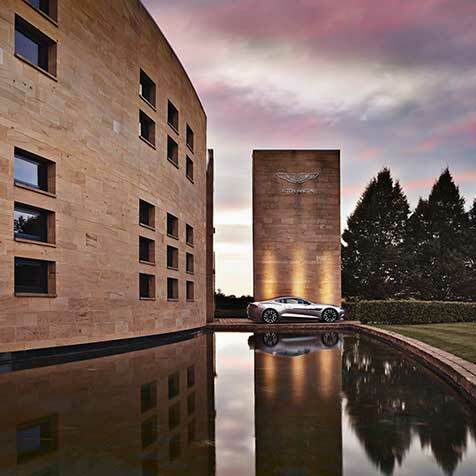 This year's Christmas event embraced the luxurious Aston Martin lifestyle with an exclusive evening at W-One - the central London showcase facility for Aston Martin. 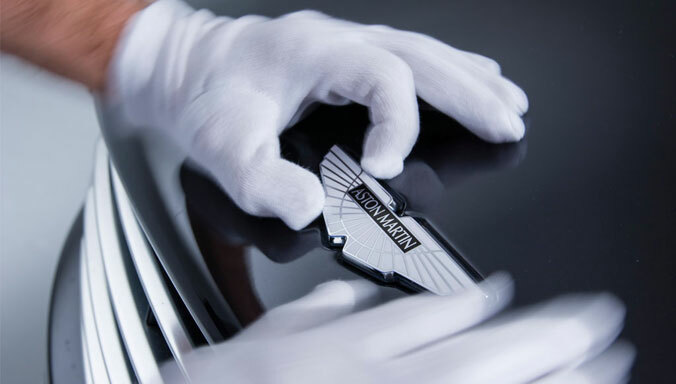 The Aston Martin Graduate Scheme is open for applications until 5th December. We explore what makes the scheme such a fantastic opportunity for recent graduates embarking on the first step in their career. 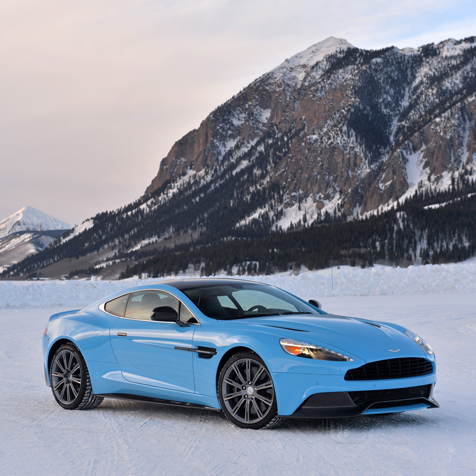 Explore how we brought the 2015 Aston Martin Vanquish and Rapide S models to life on AstonMartin.com with our advanced exploration of the new Touchtronic III eight-speed transmission. 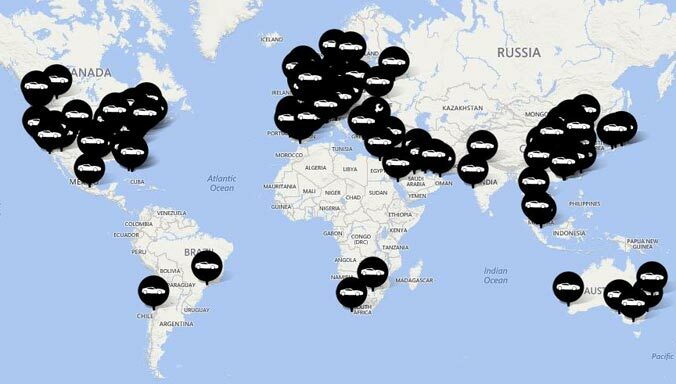 September was a month of celebration and recognition for Aston Martin on social media as we hit a number of key milestones across our channels. Jonathan Bell reveals how the marque’s creative team uses 3D printing to help design the world’s most beautiful sports cars. As Goldfinger celebrates its 50th anniversary, Paul Duncan picks the film’s key ingredients that established James Bond’s winning mixture of glamour, gadgets and globe-trotting action on the big screen. Matthew de Paula discovers the picturesque Scottish islands are the perfect location to test the capabilities of the new Vanquish. We are delighted to congratulate #TEAMFEAR and our supportive followers for winning the #FORZAFUEL challenge. Aston Martin is delighted to join #TEAMFEAR as #FORZAFUEL comes to life to mark the release of Forza Horizon 2 later this month. 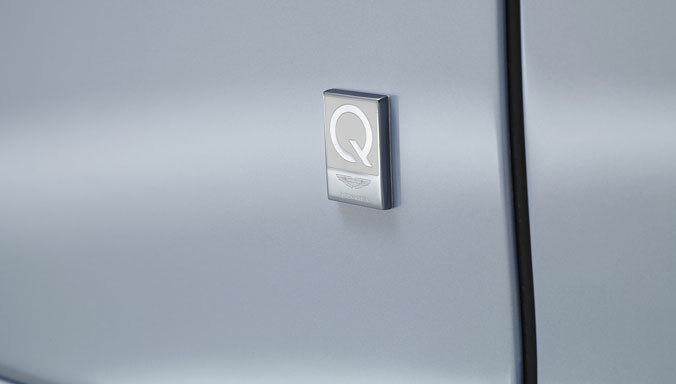 Introducing the latest project from Q by Aston Martin - the stunning personalisation arm of Aston Martin - which has been designed exclusively for charity auction at next week's Menlo Charity Horse Show. Top Jockey Ryan Moore enjoys the fine pedigree of the V12 Vantage S during a weekend of classic flat racing at Newmarket. To hear the unique engine and exhaust soundtrack of V12 Vantage S Roadster is to realise that the most important element to our designers and engineers is simply the thrill of the drive. 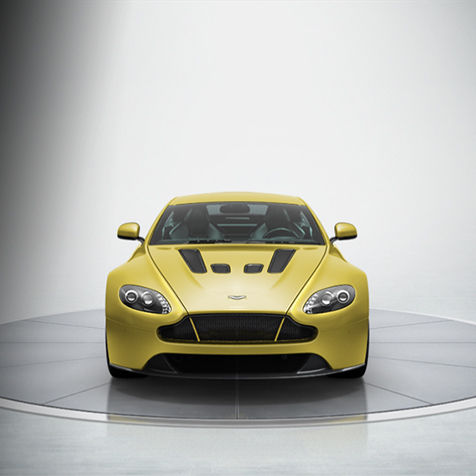 Explore the design of the V12 Vantage S Roadster - the most visceral and engaging Roadster experience we've ever created. As it celebrates its 75th anniversary this year, aston martin’s Atom concept car is still instantly recognisable with its groundbreaking sleek curves and beautiful lines. With its sporty pedigree and good looks, the V8 Vantage N430 special edition is quite at home on the winding roads and chic neighbourhoods of Monaco. Last weekend saw Aston Martin return to the largest celebration of motoring and car culture in the UK - Goodwood Festival of Speed. The first view of the Aston Martin DP-100 Vision Gran Turismo. The most gruelling endurance race in the world. 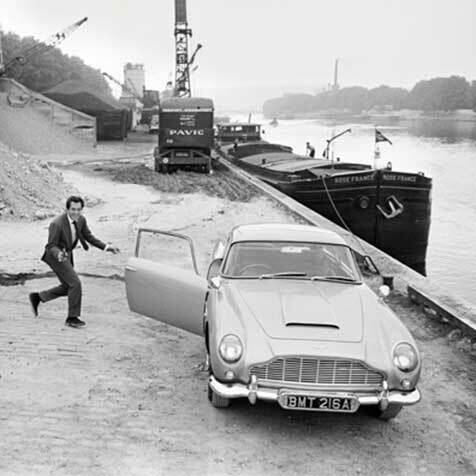 That was the challenge facing Aston Martin only a few days after the hard fought successes at Le Mans. Here are the best tweets and images from another marathon weekend on and off the racetrack. We started the week with a racing competition, followed up with the launch of a brand new app, and ended with victory at the 24 Hours of Le Mans! Here's our pick of the tweets. 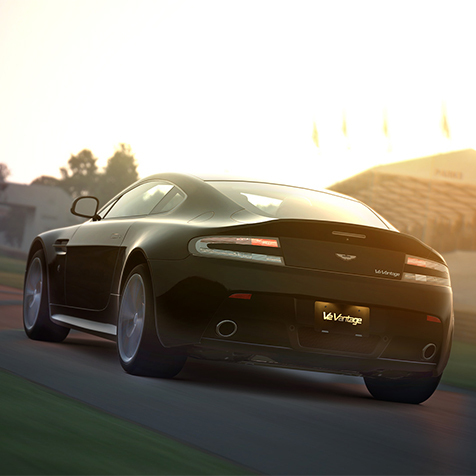 Enter our exclusive in-game Aston Martin event in Gran Turismo 6 on the PlayStation 3 for your chance to win a passenger ride up the hill at this year's Goodwood Festival of Speed! Another great week on social media, and another selection of our favourite Aston Martin-related tweets. 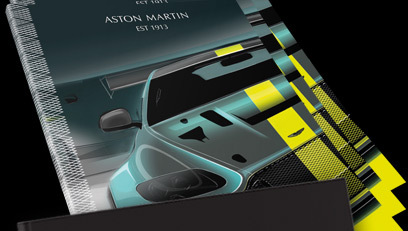 To celebrate our latest social media achievement we have some unique Aston Martin art prints to give away! Join us as we seek out our favourite tweets from the final week of a very busy May! You might have missed them, but we certainly haven't. Here's a selection of our favourite Aston Martin-related tweets from the last seven days. The latest Aston Martin Friday Film is an exclusive video which goes behind the scenes at last month's opening night event of our new Aston Martin Taichung dealership in Taiwan. Explore the latest digital offering from Aston Martin with the introduction of the Configurator iPad app. Photography is at the heart of everything we publish online. From stunning launch shots of our exciting new models, to exclusive live pictures from our events around the world. 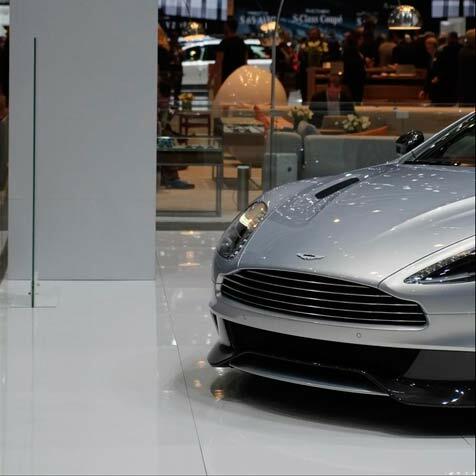 Highlights from the 2014 Geneva Motor Show where Aston Martin unveiled two exclusive new special editions: N430 - a V8 Vantage with a racing-twist, and the seductive DB9 Carbon Edition. We take a look back at the best bits.